Wow. This is an emotional read. Ren is running from a life he didn't ask for. After incredible abuse, he finds a way to survive. He is street smart and willing to sacrifice in order to survive. What he didn't plan on was Della. She was the innocent in all of this and while he, at first, is annoyed with her, what follows is a bond that cannot be broken. Della is just too naïve for her own good. Living off the land and idolizing Ren is just what she knows. She has a hard way of learning and despite being a bright child, her view of family, love, and life are skewed. This is a story about sacrifice and family, but underlying, there is a very emotional story about love. Ren and Della make me laugh and cry all within the same chapter. Their love for each other is so pure and yet, because of the way the world works, it's also tainted. I can't wait to see what happens next, because I am waiting on pins and needles. This is one of those stories that after you read it you stare at the screen hoping it will help to write this review, but nothing seems to be right to fit this story. Ren was sold to a farmer when he was eight years old; he found out the hard way that love from family doesn't exist all the time. When he was ten, he ran away. And he thought he was alone but found out when he stopped that he had a stowaway in his backpack. Della wasn't supposed to be with him and he hated her for it. Della was the only blood daughter of the family that bought Ren; she climbed in his backpack and ran away with him. Not knows what was happening, Ren hated her but knew he had to protect her and keep her safe. As Della and Ren grow, their love for each other does too. As Ren loves Della as a little sister, Della sees Ren as much more. How does Ren teach her about life and keep her happy? As Della grew, so did her love for Ren and it would be the one thing that would drive him away. This story was written in dual points of view and I can't wait for The Girl and Her Ren. I need to know what happens next. 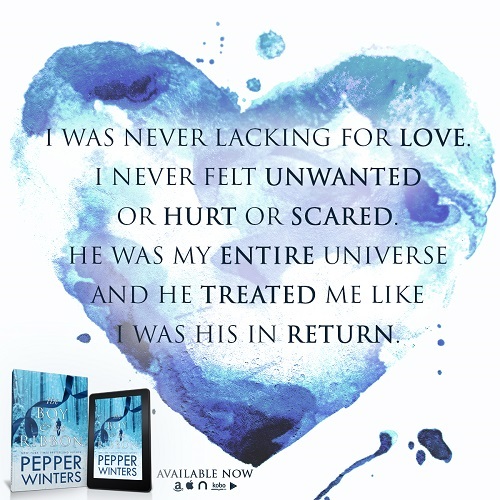 Pepper Winters stepped out of her usual genre with this one and it was great. So check it out and enjoy the ride that is Ren and Della. 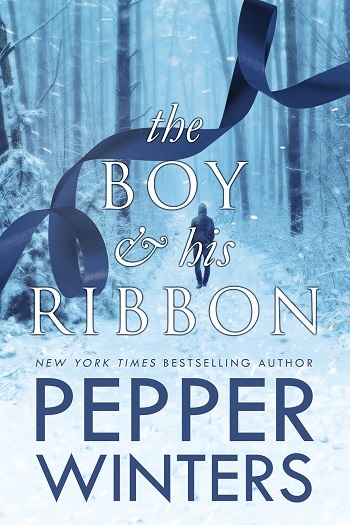 Reviewers on the Wicked Reads Review Team were provided a free copy of The Boy and His Ribbon (The Ribbon Duet #1) by Pepper Winters to read and review for this tour.